The word ‘column’ is related to building construction. The vertical support which is free from all sides taking the load of beam slab etc. and transfers the load to the earth independently is called column. 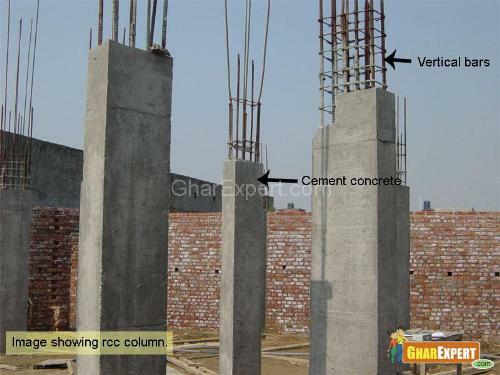 Column is constructed with the help of steel bars and cement concrete. In case of multi storey and frame structure building constructions, the entire load is born by columns and the floor area/ internal space of building is freely adjusted according to the requirement. The size, cement concrete ratio and numbers of steel bars with their diameter are available in structural drawings which are designed according to the load born by the column and factor of safety. • Placing steel bar net in footing as per design and also placing vertical bars of column in footing on the steel bar net as per design. • Laying form work in footing. • Laying cement concrete 1: 2:4 or 1:1-1/2:3 in footing up to required height as per design. • Curing work and refilling of earth around footing. 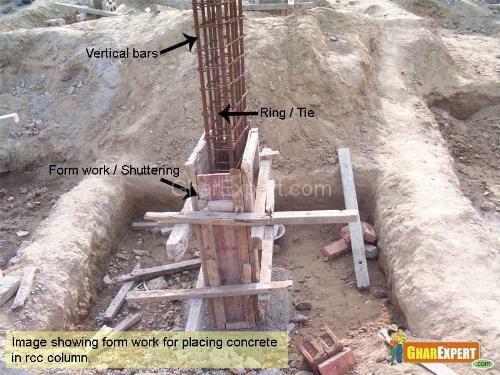 After the construction of footing and pedestal the construction of column is started. The process of construction is following. • Tie up all rings around and into vertical steel bars according to design. 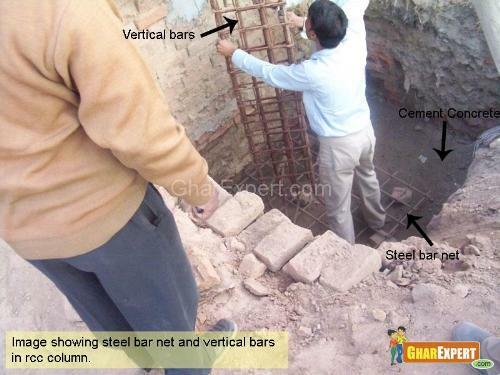 • Fix form work of required size with vertical steel bars. • Lay cement concrete in form work according to design.